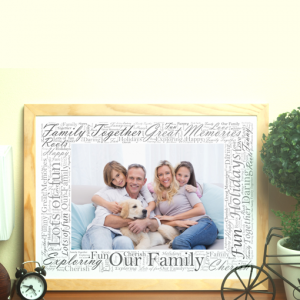 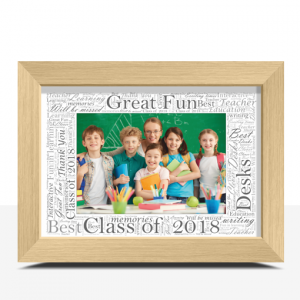 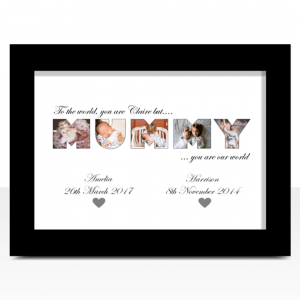 Create your own personalised photo gifts. 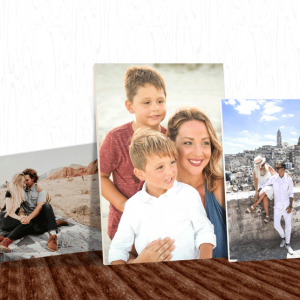 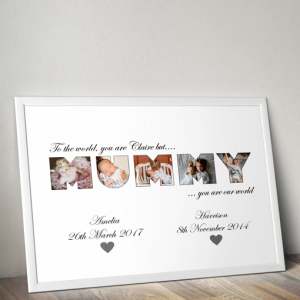 We have a range of photo gift ideas where you can add your favourite photos to make your own unique photo gift. 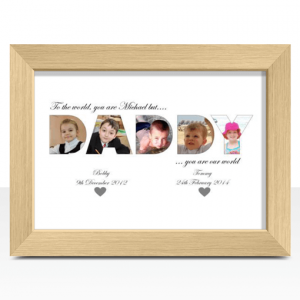 A choice of sizes & frame styles are available, so you can customise them just the way you want. 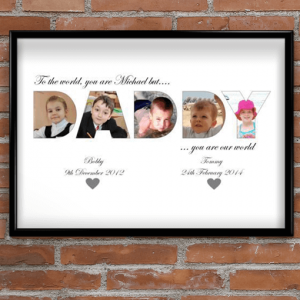 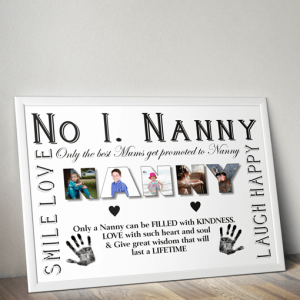 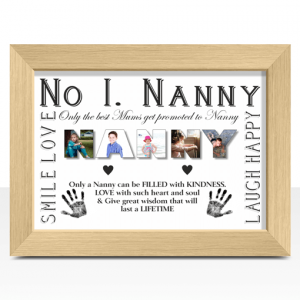 This personalised Nanny Photo Print will make a lovely gift for any Nanny. 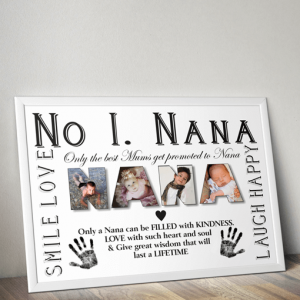 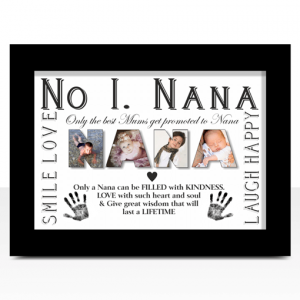 This personalised Nana Photo Print will make a lovely gift for any Nana. 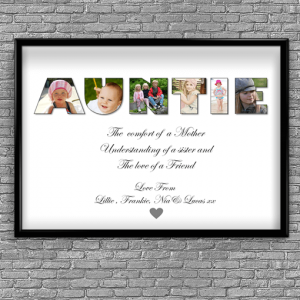 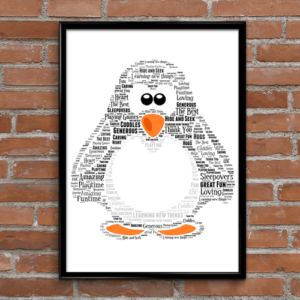 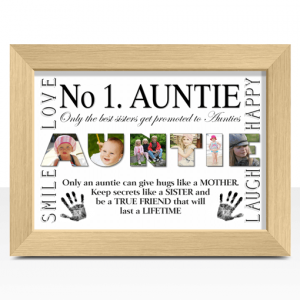 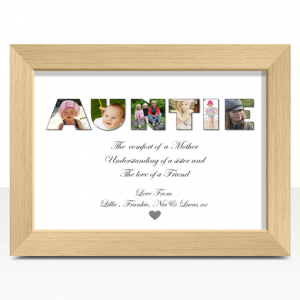 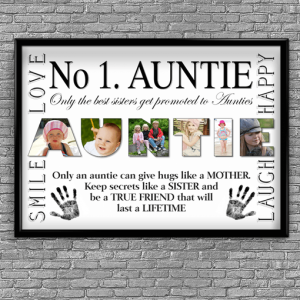 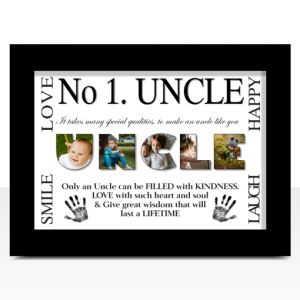 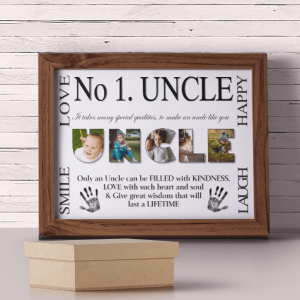 Add your own photos to create an Auntie Photo Print which makes a lovely pesonalised gift for any Auntie. 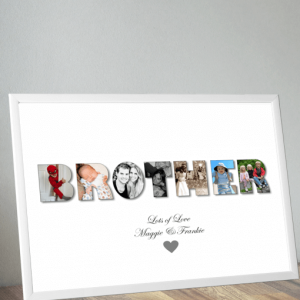 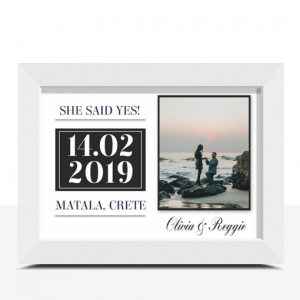 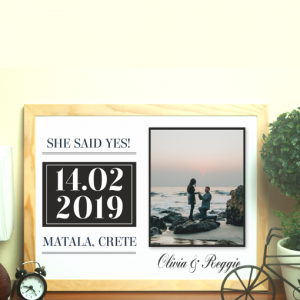 Create an everlasting special personalised engagement gift to celebrate the engagement of a special couple. 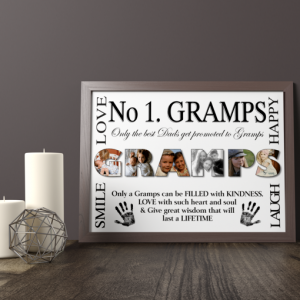 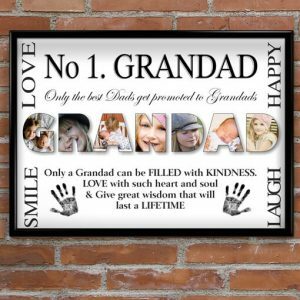 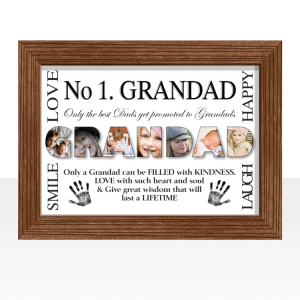 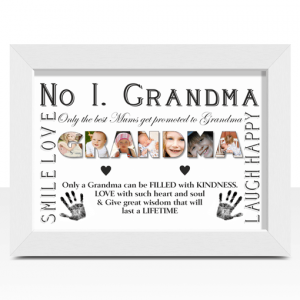 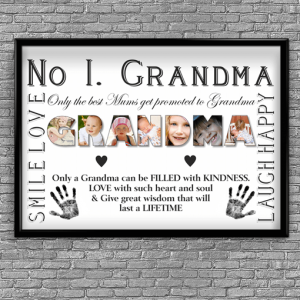 This personalised Grandma Photo Print will make a lovely gift for any Grandma.